Miscellaneous Tools -> Drive Shortcut: when creating a shortcut, the "Start In" field is set using the same value as the "Target" field. 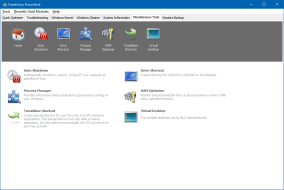 Miscellaneous Tools -> Drive Shortcut: fixed problem with remember shortcut icon position setting on some systems. 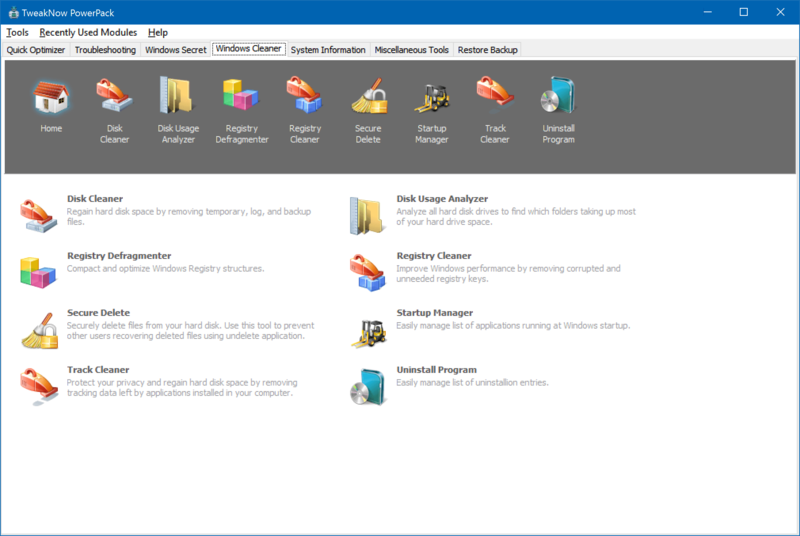 Windows Cleaner -> Disk Usage Analyzer: added 20 biggest file list section in he summary window. Windows Cleaner -> Disk Usage Analyzer: now the scan summary result can be saved to a file. Windows Cleaner -> Disk Usage Analyzer: improved support Windows XP. 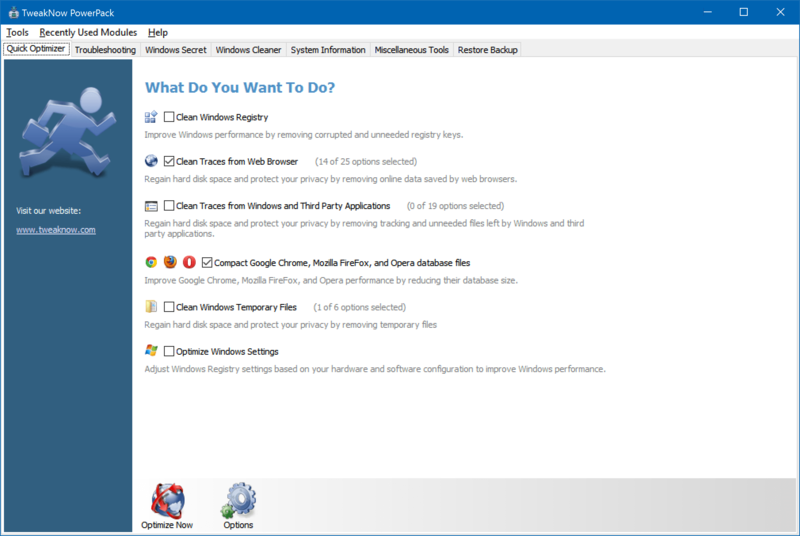 Windows Secret -> Windows Logon: disable Lock Screen (Windows 8 only). Windows Secret -> Applications: turn off the uppercase menu in Visual Studio 2012. 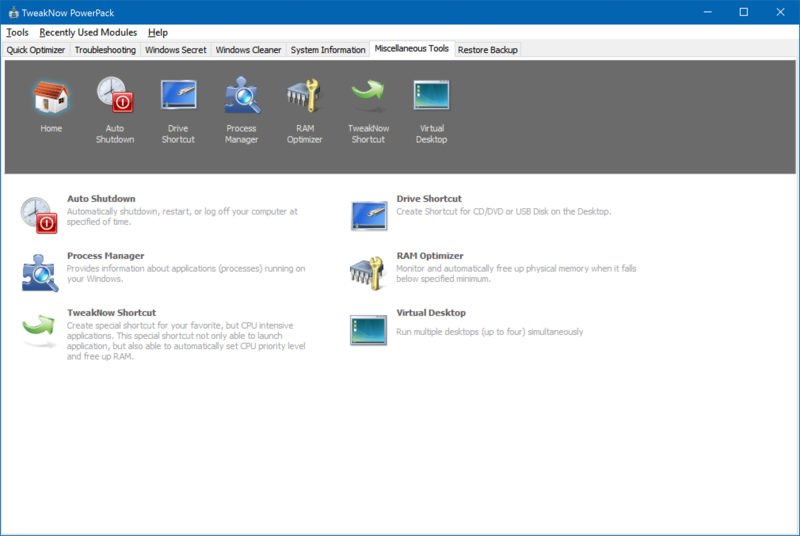 Windows Secret: added option to login directly to classic desktop (Windows 8 only). Quick Optimizer: improved report generator module. Windows Secret: Hide items from the right-hand "New" Context Menu. Windows Secret: fixed "Cannot focus a disabled or invisible window" error. 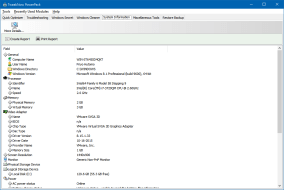 Windows Secret->Miscellaneous:Added option to change registered owner and organization. *The listed price is for one time license fee. 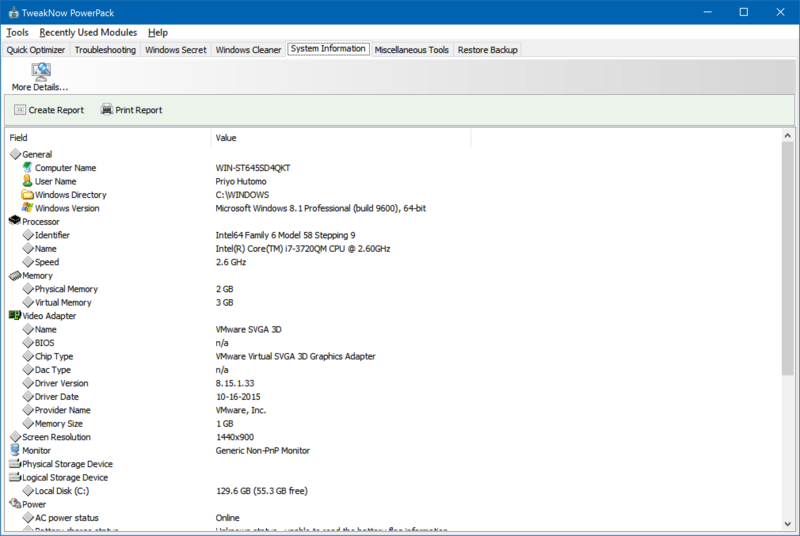 Once purchased you may upgrade to all future versions of TweakNow PowerPack for free.